After contacting about 20 attorneys, I chose Mr. Tom Arkell of Dunn law firm as my attorney for my NIW petition. Tom gave me his honest opinion about my case. Tom was the only attorney who gave me almost 30 mins free consultation via phone. Immediately after speaking to Tom, I was convinced that he is the right attorney for me. Tom and his hardworking paralegals worked on my case, providing quick responses to all my emails. My NIW was approved in less than 5 months. I retained Tom for my adjustment of status application as well, my case and that of my spouse was approved in 76 days. I strongly recommend the services of Mr. Tom Arkell of Dunn law firm to anyone who wants a knowledgeable immigration attorney with proven record of success for his/her employment based green card petition. Last but not least, for the excellent services he and his paralegals provide, their fees are very reasonable compared to other law firms. I like to take this opportunity to endorse attorney Thomas Arkell and the team at Dunn Law Firm for permanent residency petitions. After finishing my studies in the United States and completing my OPT training, I contacted Tom for advice in my immigration status and the best next step for me. He and all of his team were extremely helpful in explaining, in detail, my case and gave me their advice to pursue NIW petition. From there, they practically took me by the hand in each step of the process. Tom and his team were very attentive, prompt to respond and to answer all my questions in a timely manner. It was a smooth process with very active communication. I would not hesitate to work with them in NIW petitions. I would like to express my heartfelt gratitude to Mr. Thomas Arkell and his staff for their outstanding service and professionalism in helping me and my wife from the preparation to the submission of the application for the green card. Our green cards were approved in a timely manner and with no problems. I therefore, have the highest confidence in their service. Your ability to get difficult cases approved is astounding. I have a friend who had prior pitfalls with many immigration lawyers. His application for H1B visa could not be approved. I recommended him to hire Mr. Arkell and which he did. He and his family were able to obtain the green card. I now personally know three friends who have obtained their green cards through Mr. Arkell. I therefore, have no hesitation in highly recommending Mr. Arkell to anyone who is considering applying for a green card through the national interest waiver. A friend of mine referred me to Dunn Law Firm because of his excellent experience with the firm. 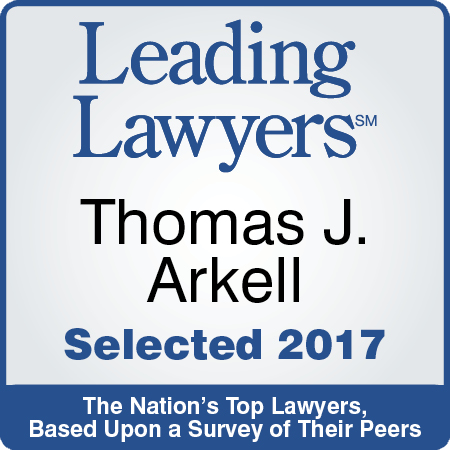 I greatly appreciate the hard work and the level of professionalism demonstrated by Thomas Arkell attorney through all steps of my application. I am very grateful to Dunn Law Firm for continuous legal support and care both during and subsequent to the approval of the case. To my greatest surprise, my case was approved without any issues. I strongly recommend Dunn Law Firm to everybody with immigration problems. It is my extreme honor to get introduced to this law firm with one of my friends. They are very professional and organized and most importantly, very accessible. I mean you can hear from them whenever you need them or have any questions. I strongly recommend them to lots of my family members and friends and wish them more success in future. I had a satisfying experience with the Dunn Law Firm. They have been very responsive and took my case seriously. All of my questions were answered within hours and they were good with following up. I am very grateful to Mr. Arkell and his team for their diligent work on my NIW application. Right from my initial consultation with Mr. Arkell and throughout the application process, I knew I had the right person to handle my case. Mr. Arkell and his team helped me in preparing my applications and kept me informed on every step of the application. The process itself was smooth without any problem. Mr. Arkell’s service is second to none and I am very pleased with the service I got. I will undoubtedly recommend him to anyone looking for an attorney on an immigration case. Mr. Arkell accepted working on my NIW petition a year ago and the case was approved several months ago. During the course of these months, Mr. Arkell and his team have been extremely honest, polite, punctual, and responsive. These factors are invaluable for any client. He is extremely professional and does not accept a case unless that case has high chances of getting approved. I believe my investment totally paid off. Many thanks to Dunn Law Firm! I would like to express my sincere appreciation to the Dunn Law Firm for their competency and professionalism in handling my NIW case. I was pleased with every step of the process and how quickly my concerns were addressed by your firm. Since getting my NIW approved I have directed my friends with immigration needs to your firm and they are all satisfied with the services they are receiving. I have filed the NIW petition and application for my permanent residency with the help of Mr. Thomas Arkell at the Dunn Law Firm. Tom and his paralegals have walked me through the process smoothly and didn’t let me feel the pressure of preparation, submission or waiting for results, of course which was the hardest among all, at any time. They were very helpful, knowledgeable and professional and I had a great experience with them. I want to thank Tom and the Dunn Law Firm for their excellent service provided to me and I would definitely hire them if I ever have to file another immigration application. I approached Mr. Arkell when one of my friends suggested I consult him for my application. I am very pleased with the quality of service I received from Mr. Arkell and his team during the application preparation, submission and waiting for the decision. Mr. Arkell is thorough in reviewing your qualifications based on the set criteria for the National Interest Waiver category and suggests whether there is a chance to succeed. I am impressed with the responsiveness of his staff when I had questions, which were responded clearly and in a timely manner. Our application was successful and I, my wife and son were able to receive the residency cards in a timely manner. The service fees he charges is reasonable. I strongly recommend Mr. Arkell’s firm for the immigration-related services. It makes me great pleasure to recommend your firm to anyone, which I do when I get a chance. I think Tom and everyone with whom I was working in your firm are excellent professionals and the whole team did a terrific job. I truly appreciate the professional work of Mr. Tom Arkell and his team in preparing my green card application. They were honest and efficient and most importantly they responded to all my emails promptly. I’d be more than happy to express my gratitude to the Dunn Law Firm and especially to Mr. Tom Arkell. From the very beginning, when I first spoke to Mr. Arkell, I experienced a very smooth, precise, and yet professional process of work with high commitment. I am very much grateful to have approached your firm and would like to express my full satisfaction. I applied for my EB2 NIW through Thomas Arkell’s law firm. Looking back at the process and hearing testimonies of others who have gone through the same process, it dawned on me how a competent attorney is crucial in making your case. Mr. Arkell and his team worked diligently and in a timely manner on my case. They help review all the recommendation letters, even after receiving an RFE letter, their commitment did not falter. One phrase, I vividly remember during out initial consultation is the promise to work with me until my process approved. FYI he did keep his promise. I had a great experience to work with Mr. Tom Arkell and the team at Dunn Law Firm to file my NIW petition. My qualification included PhD degree from University of Toronto with focus on optical sciences. At the time I applied for NIW program, I was working in semiconductor industry in US on TN visa for several months. My NIW application had some complexities since the TN visa was a temporary work permit with non-immigration intent. I received clear guidance and full support from Mr. Arkell and his team for the steps to be followed to properly handle my case. My petition was approved without any issue. The entire process since filling the application to the date that I received my green card was about 10 months. During the time that my application was in process, Mr. Arkell and his team were very supporting and response to any inquires that I had and handled my case very professionally. I have no hesitation to strongly recommend Dunn Law Firm service for NIW petitions. I would like to thank Mr. Thomas Arkell and his assistants in Dunn Law Firm for the excellent job and commitment they provide for my US permanent residency application. I found Mr. Arkell a very professional, knowledgeable and skilled lawyer in the immigration processes. He was very honest and up-front about my NIW approval chance. After he did a complete evaluation on my resume, publication and expertise, he gave me all information and advice during a friendly phone interview and assured me that I am a qualified candidate. I remember he said “if the case is not eligible, I will not accept it.” Surely, he was the right person that I selected for my green card process. Mr. Arkell and his team are meticulous and organized. I was highly impressed with the quality of the recommendation and petition letters were adjusted professionally while I had a technical interdisciplinary scientific background. They helped me through all the steps in preparing the documents, and addressed all questions and concerns patiently and accurately. It was extremely helpful and saved my time. My case was approved as expected within 3 months without any RFE which means their professional knowledge and experience have played the main roles. At the end, I would strongly recommend Mr. Thomas Arkell and his team for people who want to start their green card process fully move forward without stress. I hired Mr. Tom Arkell for my NIW for my residence permit petition. I was extremely satisfied for the services Tom Arkell and the Dunn law firm offered. Their staff was also very professional and extremely responsive to my emails and inquiries. Of course, my petition was approved even without any unwanted hassle or back and forth. When faced with the daunting task of applying for a green card, I took the advice of a colleague and contacted Thomas Arkell at Dunn Law Firm. Mr. Arkell and his team made the National Interest Waiver petition process as painless as possible. They responded to all of my queries quickly and clearly, which allowed my application to be completed without delay. I highly recommend Mr. Arkell and his team. My overall experience was very positive. I applied for the Green Card in 2015, when I was a postdoc at the University of Notre Dame. It took a few months to prepare all the necessary documents but after the paperwork was submitted, everything moved very fast. I received the Green Card only a few months later. The paralegals who followed my case helped me at every step of the process and always answered to all my questions. I would recommend Dunn Law Firm to anyone else. I have nothing but the utmost admiration for the professionalism and expertise with which Mr. Thomas Arkell and his team handled my case. I emailed Mr. Arkell during the final year of my PhD and he promptly replied and scheduled a free phone consultation. He carefully reviewed my resume and suggested I file the I-140 (NIW) and I-765 simultaneously. After signing the retainer his team helped me assemble all necessary documents for my wife and I, and filed my case within a month. During this month, Mr. Arkell’s team was extremely helpful and thorough. We received response to every email within one business day if not within a few hours. We received our work permit within 3 months, the I-140 was approved after 4 months of filing, and the permanent residency was approved in exactly 12 months. We cannot thank Dunn law firm for the most professional and reliable service that we received! I filed for the National Interest Waiver using the services of Tom Arkell at Dunn Law Firm, Bloomington, IL. I started the process whilst a PostDoc at Iowa State University. Tom guided me through the process and handled all the paperwork very well. Tom’s paralegal was very helpful; quick to reply my emails and enthusiastic when answering my calls. When the process with USCIS was going slow, they followed up with inquiries on my behalf. The fact that payment for their services was spread over the process was helpful for me. A friend referred me to Tom Arkell and I’ll gladly recommend his/Dunn Law Firm services to anybody. Their fees are very reasonable for the top-notch services they offer. I am very thankful to Mr. Tom Arkell and his team for their proper guidance and professional handling of my green-card application. The success in my case was a pleasing experience, and I am very impressed with Tom’s attentiveness, prompt responses, and his helpful nature. Prior to being introduced to Thomas Arkell, I already talked to two other immigration attorneys. The first would not even look at my credentials, just asked me my year of graduation and then went on a monologue of how I should wait and get more experiences, bla bla bla. I went back to him about a year later and had the exact experience with him again. The other one simply asked me to send him my documents and he will evaluate and get back to me. Well, for a period of about seven months, I couldn’t get anything concrete out of him, only a contract to sign which of course I did not sign. My reprieve came when I was introduced to Thomas Arkell. I had a very wonderful experience with Dunn Law Firm. My wife needed to have employment authorization for summer internship, so after evaluating our case Mr Arkell advised that we file concurrent I-140 and I-485 so that I-765 can also be filed instead of going the F1 route from H4. My NIW was approved in four (4) months without any RFE and the I-485 (filed concurrently) was approved 3 months later. I have already recommended Dunn Law Firm to my friends and they are all full of praises about the wonderful job these guys do. One of my friends got his H1B through Dunn Law and he is very satisfied with their service. I recommend Dunn Law to anyone who desires immigration attorney services that will give you peace of mind while going through the months of waiting and paranoia that comes with all the ‘what ifs’ that usually cross one’s mind during the period. I was introduced to Dunn Law and Mr. Arkell through a friend of mine who had worked with the firm on her successful permanent residence petition. Initially I had a few choices between various law firms but Dunn Law was highly recommended by my friend and my initial phone conversation and subsequent emails gave me more confidence about the service I would get. They also had given me a very reasonable service fee compared to other firms, so I decided to file my petition through Dunn Law. The initial consultation, which consisted of me sending my CV over and a 20-minute phone conversation, was free of charge, which was very helpful. At the time, I was a PhD student with multiple manuscripts in preparation and Mr. Arkell advised me to wait for a few months to publish those as well as receive more citations from my previous publications and to make my application stronger. I talked to Mr. Arkell a few months later and this time he deemed my application strong enough to file for NIW. The preparation of the required documents was relatively quick. In my opinion, Mr. Arkell’s team had a streamlined process, which was mostly done electronically. Their service was prompt and on-point, which saved a lot of time. I am completely satisfied with my experience working with this law firm. Several of my friends have worked with Mr. Arkell and his staff and they have all expressed positive views of their work ethics. I am happy with my decision to select this firm and I highly recommend their service. The Dunn Law Firm assisted me with my successful application for the National Interest Waiver filing. This is a very professional team whom I trusted and got a positive outcome, I will not hesitate to request their further assistance in any other immigration process and also I can highly recommend them for the NIW process. Thank you Thomas and team. It was a pleasure to work with the firm. The documents were prepared very well and my application was quickly approved. I’m writing to strongly endorse attorney Thomas Arkell, Dunn Law Firm for all immigration petitions. In my opinion, they are an absolutely fantastic team. They are efficient, knowledgeable, professional, yet kind, compassionate and patient. It is very hard to find all these qualities in one place! My NIW case was handled in a very prompt and organized manner. They answered all my questions and took care to evaluate each detail carefully before submitting my case. Applying for NIW can be a very complex, time consuming and arduous process, but working with Tom made the process simple in a timely manner. The task seemed huge and impossible to achieve in that time frame but Mr Arkell reviewed my case and it took him a few minutes to call me back and assure me that he will work on my case and we will be able to make it! I needed that kind of assurance at that time. Therefore, I believe that Mr Thomas Arkell, Dunn Law Firm is definitely the attorney to approach for every NIW case and I’m very sure he would handle other employment-based immigration petitions just as smoothly. I would like to thank Mr. Tom Arkell and his wonderful team at the Dunn Law Firm for the extraordinary professional immigration service provided to me. Hiring the services of Mr. Tom Arkell for my NIW and EB-1A green card petitions is one of the best decisions I have ever made. Mr. Arkell is very honest and sincere. My petitions were approved in less than two months. When I started navigating through the complexity of the green card procedure, a friend suggested me to consult Mr. Arkell. I cannot explain how much of rough time I was facing in my career on temporary visas. After talking to Tom I felt very confidant and went ahead to start the green card process. In two months everything changed and I was so relieved that my petitions got approved. Mr. Arkell’s team is very professional. The whole process of green card application went so smooth that my petitions got approved without any queries. They guided me through every step in putting together the required documents in a timely manner. They are always available for consultation and very well organized. His flexible payment plan allowed me to navigate the whole process of green card application without any financial pain. If any of my friend or family member wish to file for green cards, without any hesitation I would suggest them to Mr. Tom Arkell . In fact, all of my friends and colleagues who got their green cards through Arkell have the same wonderful experiences to share. In short, I give Mr. Arkell my highest recommendation. I just had my NIW petition and AOS approval in less than 10 months after filing under non-concurrent filing. A close friend referred me to the services of Thomas J Arkell regarding NIW and AOS filing since he went through the same process recently. … It was very easy to work with them and they were always very accessible and timely conscious in answering my questions. … They were very good at catering to my goals and my pace in terms of risk/cost involved of not doing concurrent filing and it worked out perfectly. I would definitely recommend his team’s services and would come back in the future in case I need assistance with immigration matters. I am a researcher in the information security field, focusing on the security of critical infrastructure. … Mr. Arkell and his office provided good legal advice and excellent service starting from deciding on the right immigration path (NIW) for my situation. I had just a little more than 5 months left on my H1-B and without an NIW approval within that time I would have lost my status. .. I would highly recommend Mr. Arkell and his law firm for your NIW and other immigration petitions without reservations. I would like to thank you for all the help and assistance you provided to help my NIW approval quickly. I highly recommend Mr. Thomas Arkell and his assistants. They were always open to my extensive questions. Their professional guidance made my whole NIW process go smoothly and beyond my initial expectations. I will definitely recommend Mr. Arkell to my colleagues. My NIW petition was approved in less than three months thanks to the hard work of Mr. Arkell and his staff. I cannot say enough kind words about how they handled my case. I was so impressed with their competence and professionalism that I recommended them to a couple of friends even before my case was filed and I will gladly continue to do so. .. Thanks for all your help and for being such great professionals. I had an extremely pleasant experience working with Dunn Law Firm to obtain the US permanent residency through the national interest waiver petition. I have been a post-doctoral research associate in electrical engineering specializing in research of packet processing architectures, digital systems and biomedical signal behavior analysis. The national interest waiver petition showed that this research has significant impact on network security, owing the novel hardware-based techniques that were introduced for abnormality detection. This work has also been linked to biomedical areas to identify irregular vital bio-metrics such as heart beats, where it has been proven to also have a great impact on public health-care. I have consulted with Dunn Law Firm about the NIW process. They patiently helped in preparing the support letters, documents and complete filing my application. Their confidence and advice was very assuring, and the entire process took much less time than I anticipated. The petition was approved 106 days after it has been filed with USCIS. I highly recommend Dunn Law Firm for researchers seeking assistance in filing NIW. When I finished my PhD in 2009, I proceeded to look for jobs where employers would sponsor my green card. It was harder than I thought as most jobs already required either US citizenship or a permanent residency. That was when I decided to take matters into my own hands and pursue a green card on my own. I wanted to retain a lawyer to help me navigate the daunting application process. So I went to the website of the American Immigration Lawyer’s Association (AILA), where I found and contacted Tom Arkell. He responded to my email within minutes with a call on a Sunday afternoon. I was impressed. There were no guarantees as to the outcome of the application, but I wanted an advocate who would do his best in pursuing my case and, more importantly, someone who is trustworthy. I felt I could only ascertain this with a face-to-face meeting, which Tom did not hesitate to accommodate, even when it was on a weekend. Afterwards, I knew that Tom was the right person to take my case. He not only understood what it meant to immigrate to the US, because he underwent the same process as a student, he has also helped numerous others succeed in their application. Once I got the application going, time just zipped by. … Within a month of getting the letters of support, which took the most time and work to put together, we were prepared to submit our application to USCIS. …Within four and a half months after we filed, I received my green card in the mail. I am still amazed at how quick and seemingly “effortless” the whole process was. .. It was such a great pleasure working with their team that it makes the positive outcome of the case even more satisfying. Working with Thomas and all of his team made the process very easy and they were able to answer any questions that I had. I would definitely recommend them to any colleague or friend that would like to go for a National Interest Waiver application. It was a pleasure to work with them all. I just received my permanent resident card, and looking back I think I made an excellent decision in choosing Tom Arkell’s law group to present my NIW case. Tom gave me a fair and realistic assessment of my case and was very prompt in answering all my questions and concerns throughout this process. His office prepared and handled my case in a professional and timely manner. I am very pleased with the quality of service I received at a competitive rate. I would definitely recommend their services for seeking employment-based immigration benefits. I had an extremely great experience with Mr. Tom Arkell and the Dunn law firm. They know their job very well and make the whole process very smooth and fast. We filed my NIW petition in Jan. 2012 and received the approval in May 2012. Amazingly fast and smooth. I would like to thank him and his assistants and I strongly recommend them to everybody who is looking for an organized and reliable lawyer. They were very quick in responding emails and very reliable about timing (exactly how they had promised). I am very happy that I decided to work with them and I keep referring my friends/colleagues to their law firm. At the beginning of my application for permanent residency, the paperwork and effort required to becoming a Green Card holder seemed almost insurmountable. It was the professional, competent, and friendly support of Thomas Arkell and his team that turned my Green Card application into a well guided, quick, and pleasant experience. Thomas was professional and knowledgeable throughout the process. He recommended applying through the National Interest Waiver program which turned out to be excellent advice. Both Thomas and his staff were always available for my questions and concerns and were consistently quick and competent with their answers. Due to the expertise and professionalism of Thomas Arkell, my application was processed within less than 6 months without any problems or paperwork issues. The friendly and always prompt support of his team made my application for permanent residency a positive and enjoyable experience. Therefore, I highly recommend Thomas and his team to anybody who wants to become a permanent resident of the United States of America and is looking for competent and professional guidance through the process. You will not regret your decision. I first began the NIW process with hesitation as I was not very confident with my credentials. Mr. Arkell and his team made me feel very comfortable with the entire process, as well as confident that I had a strong case. They explained everything and answered every question I had. They made the process very smooth and kept me updated on any developments from USCIS. Just a few months later, I was approved with no first author publications, which was extraordinary. This process has changed my life and I am very happy I found the services of Mr. Arkell. I sincerely thank the entire team. It was a pleasure to be represented by Thomas J. Arkell for my NIW application. From the moment I have contacted his office, the responses were always quick and his guidance, as well as the one received from members of his team, was clear and helpful during the preparation of all the documents needed for the application. The process was smooth, I was always informed of any updates from USCIS, and I did not have inconveniences along the time it took to get the acceptance of the NIW and the resident card itself which happened in less than 6 months, from the moment my documents were submitted to USCIS. I truly believe that the time he invested on preparing my case had a great impact on my successful application. I deeply thank him and his team for all the work done. I am very impressed with the service, professionalism and level of work that was provided for my NIW case by Mr. Arkell and his paralegals. I filed for my NIW last year in April and received an approved I-140 about 3 months later. As a citizen of India, I will have to wait for the final stage of the green card process but you can be confident that I am definitely hiring Mr. Arkell and his team again for the final step. Also, money can be a factor as a postdoc but Tom Arkell was willing to work out a payment plan that worked within my financial means. I highly recommend Tom Arkell and the Dunn Law Firm for filing successful NIW cases. It was a great pleasure to be represented by Mr. Tom Arkell for my NIW application. I was introduced to Mr. Arkell by a friend who had already worked with him for the same application with a happy ending of receiving his/her green card. He gave me a realistic assessment of my case and was truly knowledgeable in every intricate aspect of the NIW procedure. NIW and permanent residency application can easily get long, time consuming and complicated: However, with the strong experience of Mr. Arkell and his team, it became a smooth and less stressful process. His assistants were also great in giving timely guidance whenever there was a concern about any part of the application. As such, I have no hesitation in recommending Mr. Arkell and his team to any colleague or friend of mine who would like to apply for the US permanent residency through NIW. I was referred to Mr. Arkell by a colleague (who had just had the NIW petition approved). Initially, Mr. Arkell asked me to wait so that I could have more publications and citations. Months later, Mr. Arkell contacted me and recommended that, “I could proceed with my petition and if he (Mr. Arkell) filed on my behalf he can get my NIW approved.” At this point, I felt I was dealing with an honest person and I was confident in starting my application and also hiring Dunn Law Firm. My NIW petition (and green card) were approved without any issues. I experienced expert and professional legal representation from Mr. Arkell, his Paralegal and the staff at Dunn Law Firm. My most sincere gratitude and thanks!! It was a pleasure working with Mr. Arkell and his team. A friend recommended Dunn Law Firm, and particularly Mr. Tom Arkell, to me when I was a 4th year PhD student at Notre Dame. I knew the frustrations that come with looking for a job without a green card. My only concern was the money. I knew that my friend got his green card in a matter of few months through Dunn Law Firm, so I talked to Tom and he gave my wife and I a flexible payment plan. Trust me – the service was amazing! Tom was honest, thorough and professional. I started my application with the NIW petition, waited for the approval, and then filed for a green card. My wife and I received our green card before I defended my PhD, which took less than a year. As a previous F-1 student, the relief that comes with having a green card before my PhD completion cannot be described. I had four Job offers after my PhD. 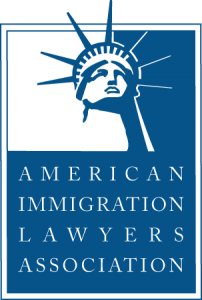 If you are considering filing for NIW or any immigration related petitions look no further. Every penny spent was worth it. I would do it all over again with no reservations. My experience with the Dunn Law Firm, Mr. Thomas Arkell and all the staff has been extremely positive, and I’m glad to be able to write about it here. A friend introduced me to the Dunn Law Firm, after a previous contact I had with another lawyer had discouraged me from applying for a NIW. A phone call was arranged with Mr. Arkell in person, he was extremely professional, friendly and competent. We went over the details of my case and discussed all my doubts regarding the procedure. Mr. Arkell provided excellent advice and guidance, without which I wouldn’t have been able to get my green card, and he also reassured me that I had a good chance to see my petition approved. I am very happy about my decision to trust Mr. Arkell and all the staff at the Dunn Law Firm. I have referred at least 3 colleagues to the Dunn Law firm and I will happily continue to support and recommend them in the future. Not only they know their job very well and have plenty of experience, but most importantly they care about their clients. Thank you. I want to thank Dunn Law Firm on the excellent legal services they provided for my green card application. They have all the attributes I expect in a good law firm: knowledge and experience, professionalism, integrity, and responsiveness. I would like to thank Mr. Tom Arkell and his colleagues at the Dunn Law Firm for an excellent professional service they provided to my wife and I during our application for green cards through the NIW petition. It took less than one and a half months to get the approval for the NIW petition, and less three months for the green card. A friend of mine whose green card application was done through Mr. Tom Arkell recommended that I should hire him for my case. I am very happy that I had hired Mr. Tom Arkell, as he and his team are very meticulous in checking each document that was included in the application and in making sure the application package is prepared so that it reflects the presences of outstanding professional qualification that deserve approval, and for providing immediate answer to all my questions. I strongly recommended them to anyone who wants to apply for green card through NIW. I consulted Dunn Law Firm for my NIW petition, if I had to go through this process again, I would not hesitate to have them represent me. After the first consultation to discuss my credentials with Mr. Arkell, he promised to work diligently with me and have my petition approved – my case was approved within 45 days of application. All along, I experienced professionalism from Mr. Arkell and his assistants. They guided me to gather the paper work required for my case, and handled my case promptly while keeping me updated. I have no words to express my gratitude, to their competence. It has be a pleasure to work with Mr. Arkell and Dunn Law Firm and would recommend anyone applying for permanent residency to him. My wife and I just received our Green Cards thanks to the outstanding work of Tom Arkell and the whole Dunn Law Firm. When I first called Tom I was in a huge time crunch: due to a previous problematic handling of my case which caused a lot of delay, I had to submit my Green Card petition in just one month! Tom was the solution to all our problems and anxieties. He and his staff worked with us on a daily basis, with great professionalism and competence, and were able to send our petition as quickly as promised. They were also of great help in obtaining the work and travel authorizations very quickly. Most incredibly, our green cards got approved in less than three months without a blink, that was incredibly fast and smooth. We wholeheartedly recommend Tom and his staff to anybody in need of immigration services. I had carefully reviewed profiles of several immigration attorneys before I had decided to approach you. My decision was based on my search on the internet and feedback from my friends and colleagues who were either in the process or had processed their permanent residency application not very long ago. I guess it could not have been a better decision as we got our permanent residency application processed in as little as 6 months… from filing to the green card in my hands. … I really appreciate all your help and guidance all along in the process. It is common knowledge that the fate of a permanent residency application… is always difficult to predict. Based on my experience I can certainly state that a good attorney can be invaluable asset in such a case… Thank you so very much. I contacted Mr. Tom Arkell to seek help about my immigration status when my OPT was close to its end. He immediately responded and based on my CV he suggested the NIW process to obtain a permanent resident status for me and my family. His experience and great knowledge in immigration law gave me a big confidence through the process. The rather complicated application procedure seemed very easy and it went flawless with Tom and his team’s help. The steps of the application process were clearly communicated. Their workflow is neatly organized and it enables to complete all paperwork without the need of personal meetings. All of our questions and concerns were answered promptly and in a neat timely manner. We have received our green card within four months after the application was filed. We greatly appreciate Tom’s and the whole Dunn Law Firm’s help. I will never hesitate to recommend him for my friends and colleges who seeks permanent resident status or have questions about immigration law. Mr. Tom Arkell and the Dunn law firm was first introduced to me by a good friend of mine who was working with them to apply for his permanent resident status. He told me that he was receiving a good service and I can expect the same. By that time I was a PhD graduate student just about two years behind my graduation. My wife was also doing her PhD studies. As students we had very little money saved just enough to cover the required expenses. Therefore I was very worried but decided to talk to Mr. Arkell because of the good recommendation given by my friend. First Mr. Arkell asked me to email my resume and later he set up a telephone call to discuss my eligibility and other details. The discussion was very informative and I got all the details that I wanted to know about the green card process. During that time I had several publications in preparation and he advised me to wait till I publish them to make the application stronger. His comments on my qualifications and by asking me to wait, assured me of his honesty and professionalism in evaluating my case. This raised my level of confidence gave me some assurance that I will not lose my money and he will do his best to prepare my application and guide me through the process. Finally I graduated and got a job offer from a leading semiconductor company as an Engineer/Scientist. The offer came with a condition that I should be at least a permanent resident of the United States due to the level of sensitivity of the job duties. This situation imposed a very tight time constraint on my case. Therefore I needed everything to be perfectly accurate and complete in my application to avoid any RFE from USCIS. After another discussion with Mr. Arkell, we started the application process through National Interest Waiver. I was sometime emailing or calling his office staff two to three times a day to give them the required information, documents and to get advice for things I needed. The office staff was extremely helpful and very efficient in preparing everything need for the application and answering all my questions and guiding me through the process. The application was submitted and USCIS approved it within two and a half months from the receipt date as my country’s priority date was current. I consider this is one of the cases that the USCIS approved in a shortest period of time. The USCIS did not ask me for any additional documents or evidence because everything was included in the original application package accurately and completely thanks to Mr. Arkell and his office staff thorough understanding of the process. I am very happy about my decision to select Mr. Arkell and the Dunn law firm to represent my immigration case.